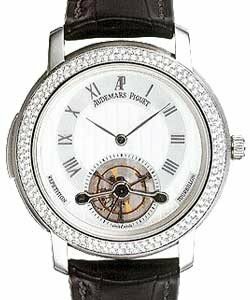 This watch is also known as: 26153PT.OO.D028CR.01 , 26153PT-OO.DO28CR.01 , 26153PT.OO-DO28CR.01 . 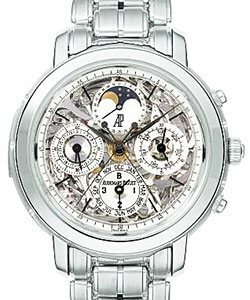 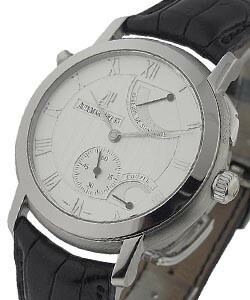 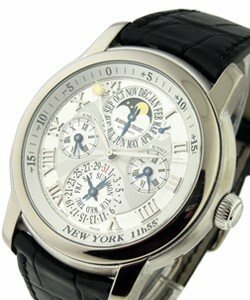 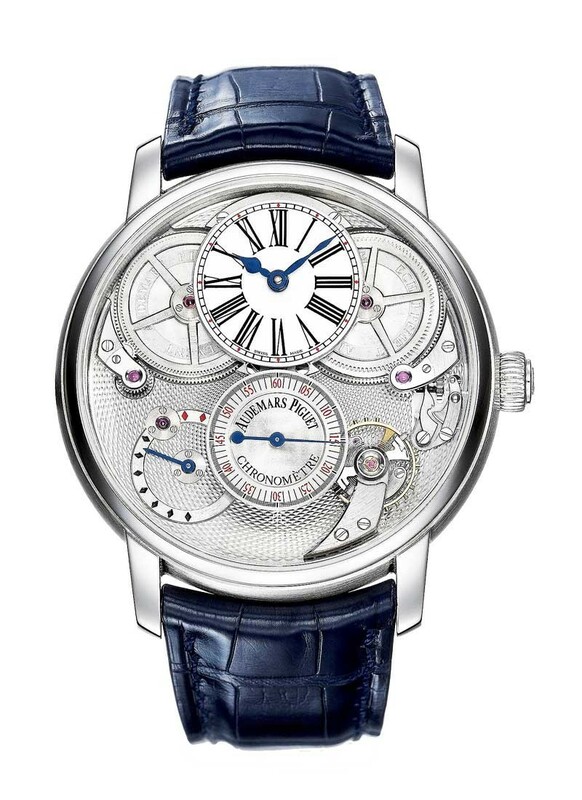 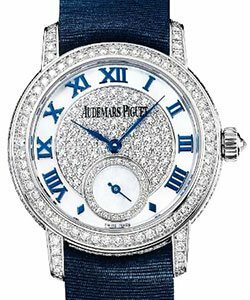 This Audemars Piguet Jules Audemars watch with Audemars Piguet Escapement in a 46mm platinum case features a unique skeleton dial with an off-centered white enamel dial with blued steel hour and minute hands and black roman markers, secondary displays for a power reserve indicator and subsidiary seconds, and a blue alligator strap with a platinum buckle. 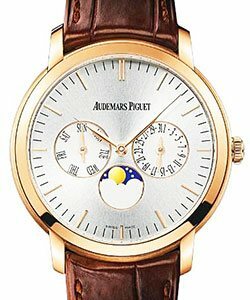 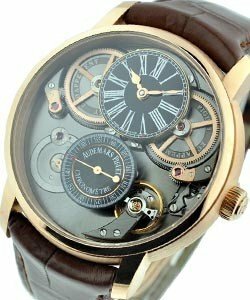 The Audemars Piguet Jules Audemars watch with Audemars Piguet Escapement is animated by a revolutionary manual winding movement first presented in 2006; the ultra-rapid AP escapement requires no lubrication, ensuring the watch's ultimate efficiency and shock-resistance. 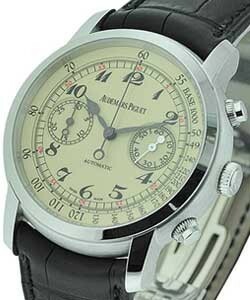 This exceptional timepiece is water resistant to 20 meters.